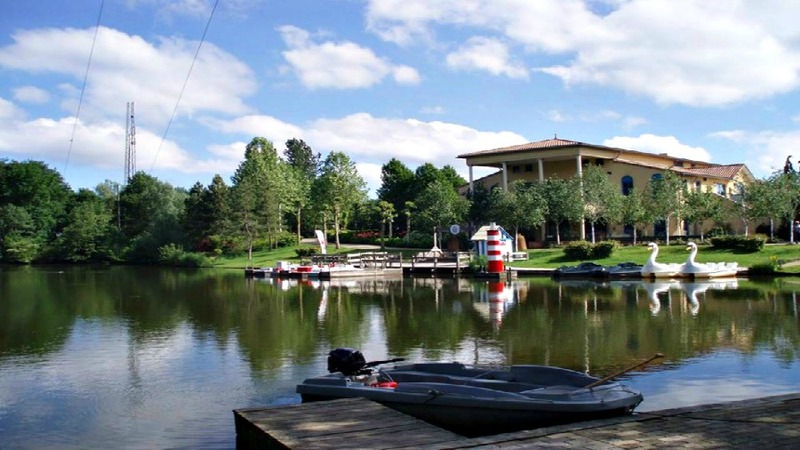 Did you know that there are Center Parcs in Europe as well as in the UK? The Center Parcs concept actually originated in Holland over 50 years ago as a small campsite in the South East of the country. The ethos of forest holidays with onsite activities proved very popular, and it wasn’t soon before Center Parcs came to the UK in 1987. Although the UK arm was sold off in 2001, the philosophy between the UK Center Parcs and European Center Parcs are the same, and today there are parcs in France, The Netherlands, Germany and Belgium. 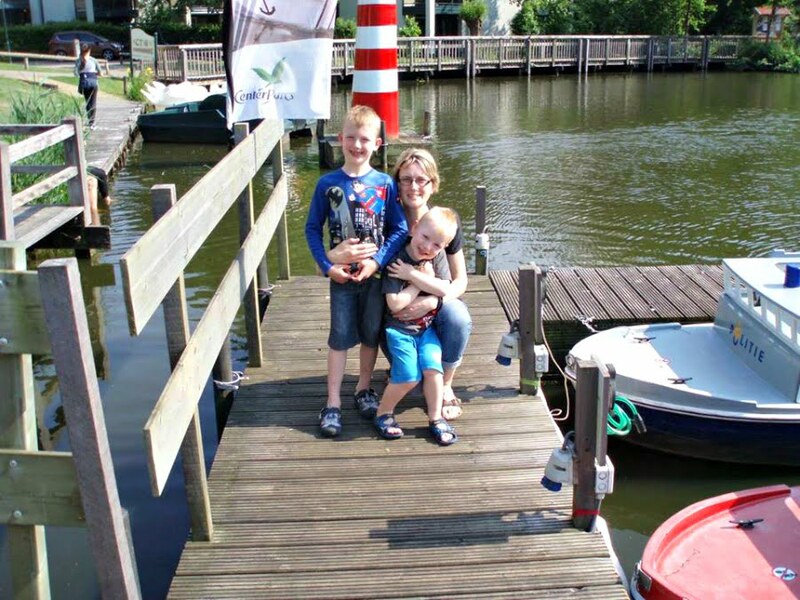 My friend Sarah, has been on holiday to a couple of Center Parcs in The Netherlands, and today she’s going to tell us a little bit about her last holiday to Center Parcs De Eemhof in the Flevoland province with her husband and 2 young boys. If you’d like to tell other parents about a fantastic holiday you’ve been on as part of our Meet the Parents feature, please get in touch! 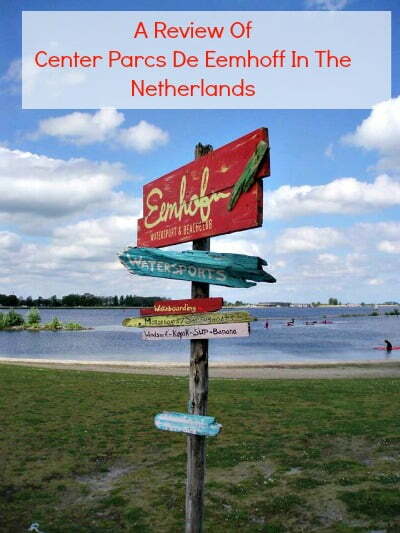 We stayed at De Eemhof in The Netherlands from Monday to Friday for a week during the May half term school holiday. 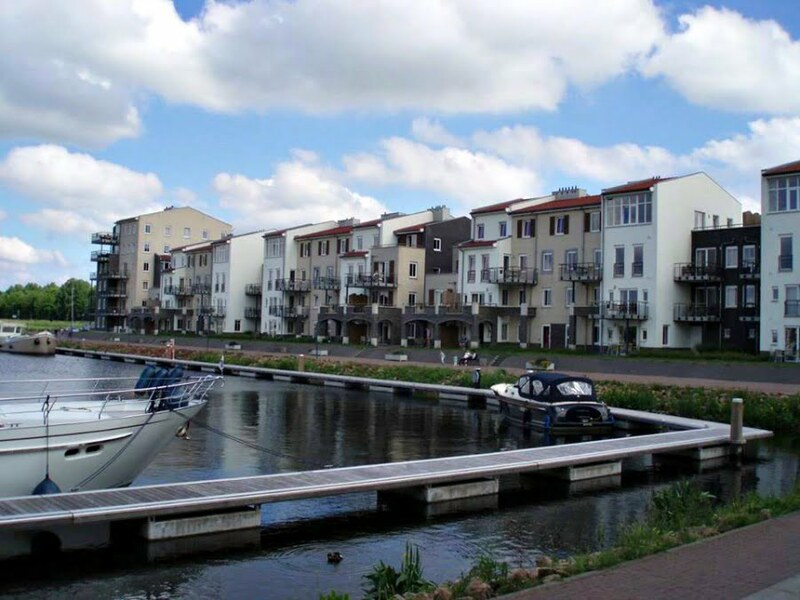 We had priced up a holiday at Center Parcs in the UK, but De Eemhof was considerably cheaper – even after we’d added in ferry travel. Plus, there is the added excitement of going on holiday abroad! De Eemhof is located about 30 miles from Amsterdam around the Eemmeer Lake. All the accommodation is in a forest, and is situated around an Aqua Mundo glass domed swimming complex. There is also a Marina with watersports, and loads of activities such as swimming, archery, sailing and climbing. It was really quiet when we were there as the local children were at school, so we didn’t need to pre book any activities. There is also a lakeside beach, and lots of places to go cycling. 2. What was the accommodation like? We stayed in a Kids Cottage which had 2 bedrooms, a play room and an outside play hut with a private slide. The cottage was a bit tired and a little damp, which was probably due to its forest environment. The boys loved it, but I don’t think we would bother with a Kids Cottage next time. The playroom took up quite a lot of space in the cottage which meant that the living area was quite small. Insect repellent was a necessity! 3. How did you get to De Eemhoff? We took the overnight ferry from Hull to Rotterdam which was awesome! 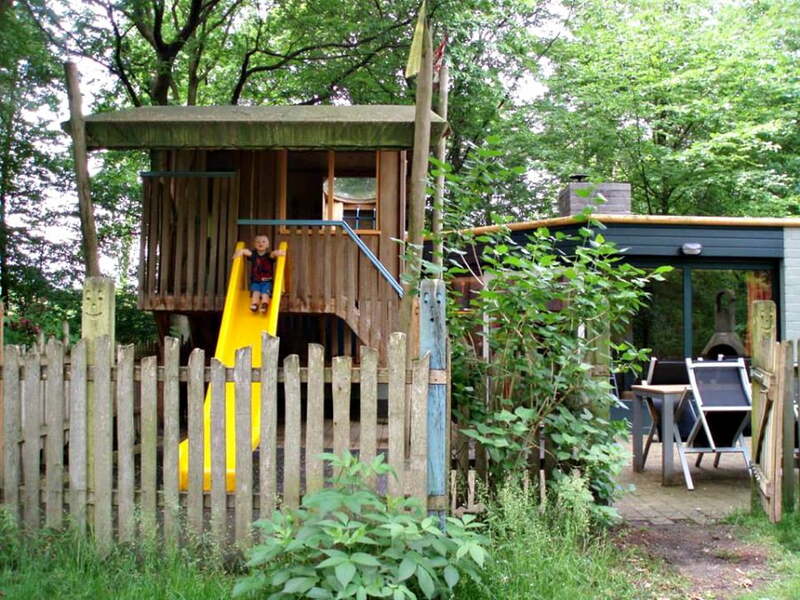 On the way to the Center Parcs, we spent a night at Gouda and stayed at B&B Zuidplas . We stayed in an immaculate family room and had a yummy breakfast included. Gouda is a gorgeous little town to wander around although it was a little quiet at 10am on a Sunday when we arrived! On the way back after our stay at Center Parcs, we stayed near Utrecht at a hotel called Van Der Valk De Bilt This was a really cool place with fantastic family rooms with 2 single beds with TVs at the end of each bed! There was a swimming pool, and the restaurant was good too. 4. 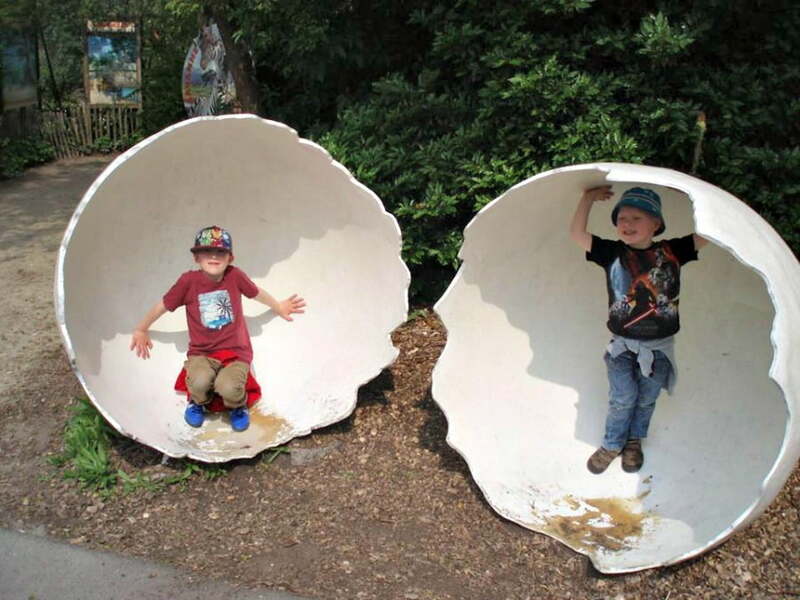 Where did you visit during your stay at the Center Parcs De Eemhoff? We had a fantastic day out at Rotterdam Zoo, which was the best zoo I’ve ever been to! There were large enclosures for all the animals, and we saw elephants, giraffes and gorillas. There was a really big play area too. The Aquarium area was massive and as big as The Deep in Hull. 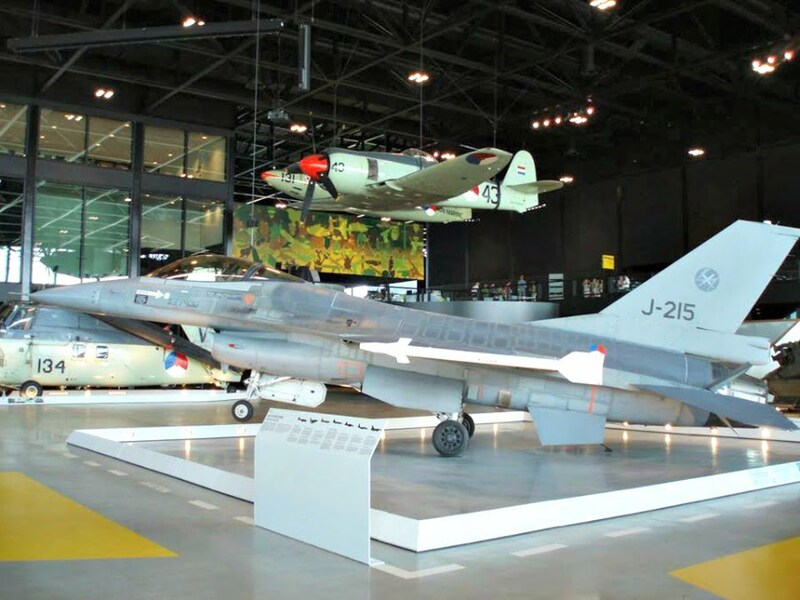 We had another great day out at Nationnal Militar Museum near Utrecht which was a real find. This is an awesome military museum with loads of old war planes, tanks etc. It is really hands on and the kids had a great time sitting in fighter planes and holding guns. There is a great play area outside too. Note – the Museum only takes cash not cards. Thank you to Sarah for telling us all about her holiday. If you’d like to tell us about awesome holiday you’ve been on, please contact me on kiddieholidays@gmail.com.